Maxumise Our Community - Maxumise See New Job Vacancies! Maxumise recognises that our organisation has a direct and indirect impact on individuals, families and communities in the places we operate. Maxumise promotes ethical labour practices; demonstrating, promoting, and mentoring leaders to treat employees fairly and ethically. We educate leaders on ways to uphold the international labour laws and the benefits that will flow from this practice. Maxumise supports the initiatives of the Street Kids and Shoe-shine boys volleyball team; providing volley balls, shoes, and most importantly an interest in their results and achievements. 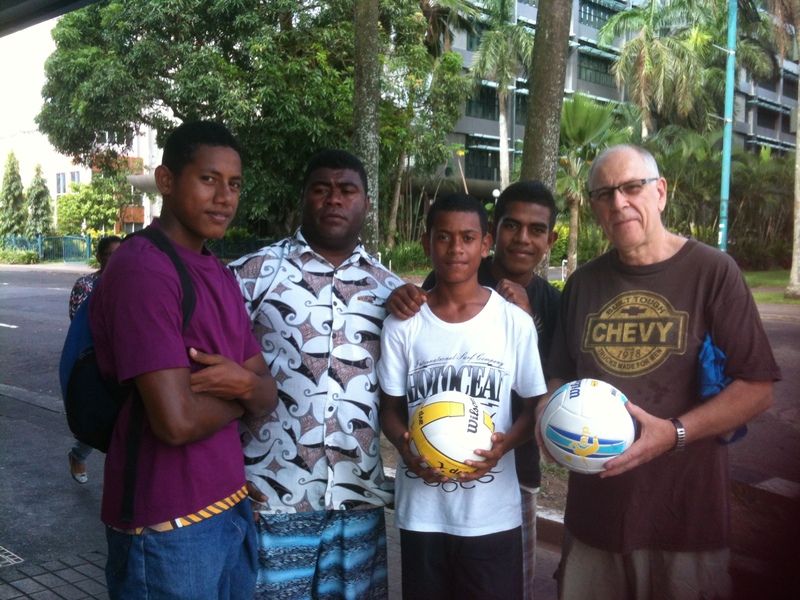 Noa and the street kids volley ball team receiving new competition balls. Maxumise has also provided many boxes of new children’s books to the Hilton Special School, as well as clothes for orphans and the elderly.